Regency Hotel, A great local wedding venue. The Regency Hotel Solihull is a venue we have great fun working at. It sits back off the Stratford Road Between Shirley and Junction 4 of the M42. Despite the location, it is quite secluded and has a good sized car park. 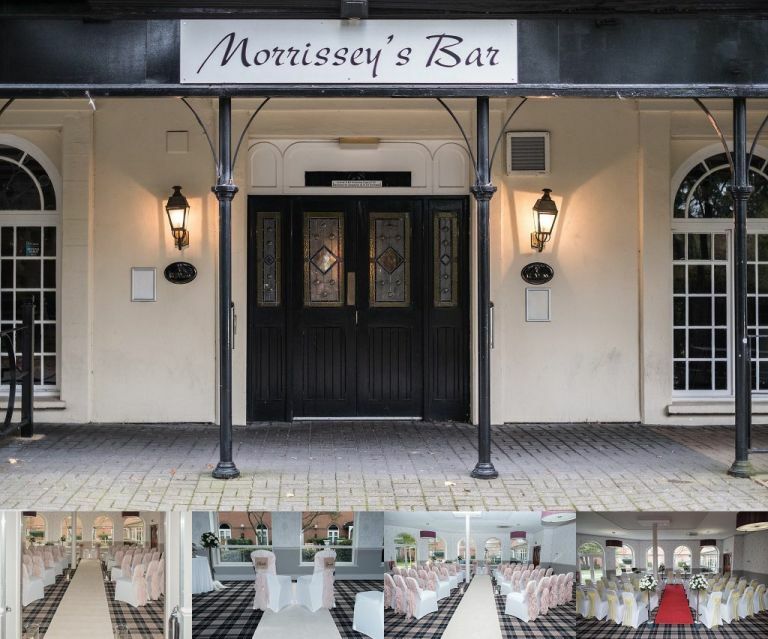 The Regency Hotel is a modern venue, the images above show various setups in the wedding room which has recently been refurbished, plus the street entrance to Morrissey’s bar. 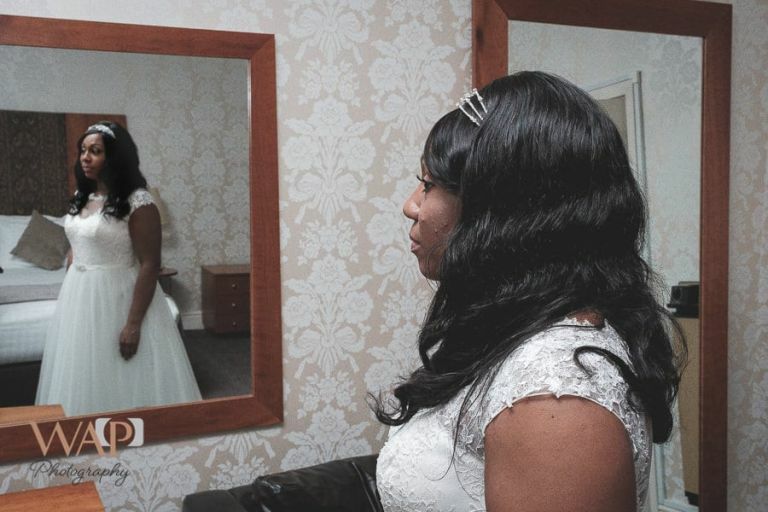 Many brides get ready in the Regency Hotel bridal suite which allows the use of the bedroom and a sitting room. Plenty of room to spread out and take the stress out of getting ready before it rapidly gets to the time to be escorted down for the ceremony. The wedding ceremony itself takes place in the restaurant which is quickly converted afterwards if required for the wedding breakfast. Receptions can be held in Morrissey’s Bar or the Four Seasons suite depending on numbers. We’ve always found the staff here really helpful in arranging things for us to get our work done. Here’s a behind the scenes look at setting up one of the groups. Depending on the light we can use either side of this well-proportioned garden area and there is plenty of room for groups of guests to stand having a drink whilst waiting until they are needed. When preparing your timeline with the staff it is worth noting that often there is often confusion at venues between the time that they want you seated and the time that the first plate lands in front of you. To avoid having your photography time curtailed please check this one out. When we are photographing the wedding we always want you back in time as the chef is the person that it is not good to upset. The registrars from Solihull cover this location and, it is fair to say, are really good with us. 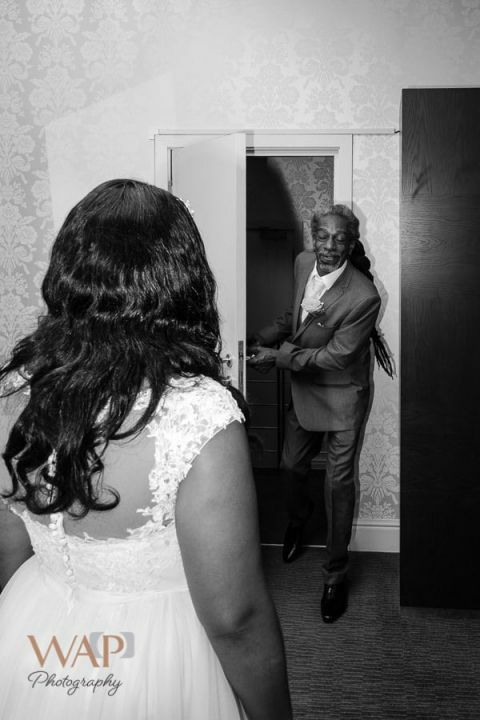 We are often allowed to position ourselves to get the important shots that you want, ring exchange, first kiss etc. After the ceremony, there is a paved patio area on one side of the hotel and a garden area on the other side of the hotel. Here we can take couples portraits and the family group photographs. Solihull-Wedding Photographer | What a Picture Photography would be pleased to work with you to capture your special day at this venue.